Joel Jover graduated from the Professional School of Art in Camagüey in 1970. He is a member of the National Union of Cuban Writers and Artists (UNEAC). 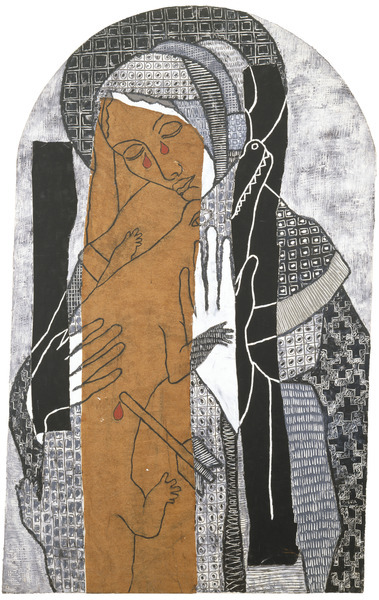 His work addresses a range of themes; predominantly reflecting aspects of religiosity and spirituality that exist throughout Cuban culture, blending imagery from Catholicism with Afro-Cuban cults. Jover's works have been featured in numerous solo and group exhibitions in Cuba and in many museums and galleries throughout Europe, the United States and South America. 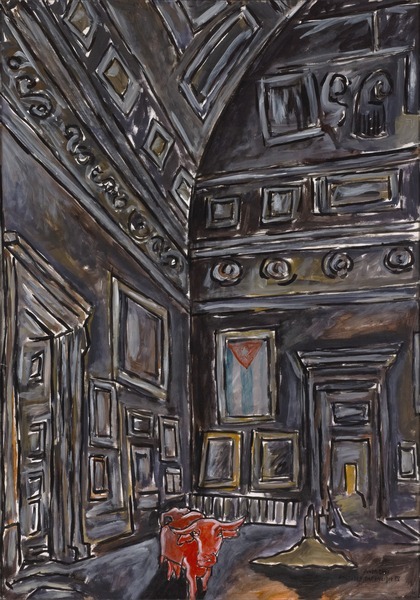 He has received numerous awards, including the First Prize at the Provincial Salon of Visual Arts in Camagüey (1985); the Award granted by the International Association of Art Critics in Havana (1988); the Grand Prize of the “Regino E. Botti” Territorial Salon in Guantánamo (1992); and the Prize of the 9th Salon “Fidelio Ponce” in Camagüey (1993). La mano poderosa (The Mighty Hand), 1999. Oil on canvas. 39 1/4 x 31 3/4 in. 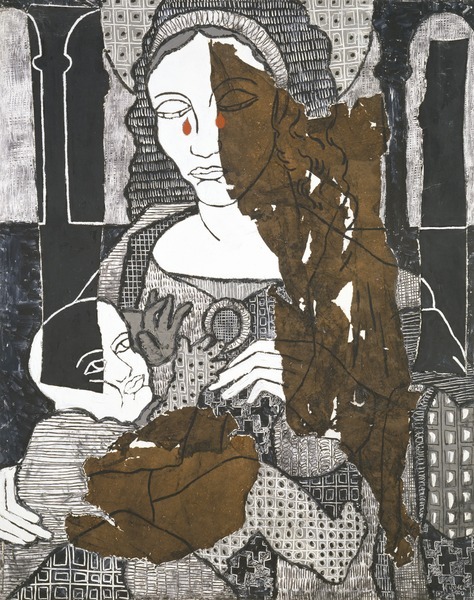 La Virgen del Niño V (The Virgin and Child V), 2000. Acrylic, rice paper and fabric on canvas. 39 x 31 1/2 in. Postales del incilio IV (Postcards from the In-xile IV), 2001. Acrylic on paper. 39 x 27 1/2 in. 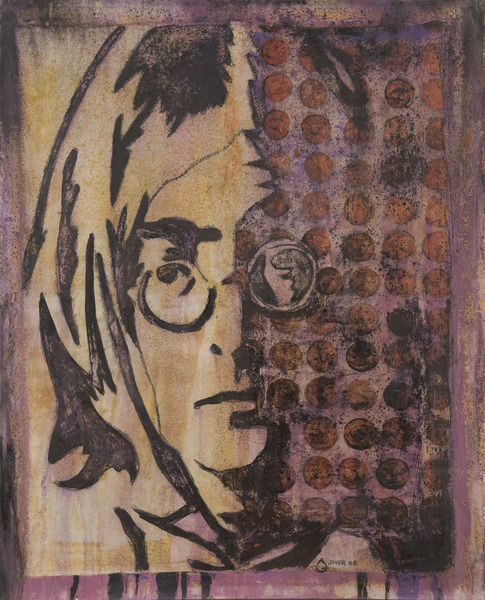 Lennon IV, 2005. Oil and acrylic on canvas. 38 3/4 x 31 1/2 in. 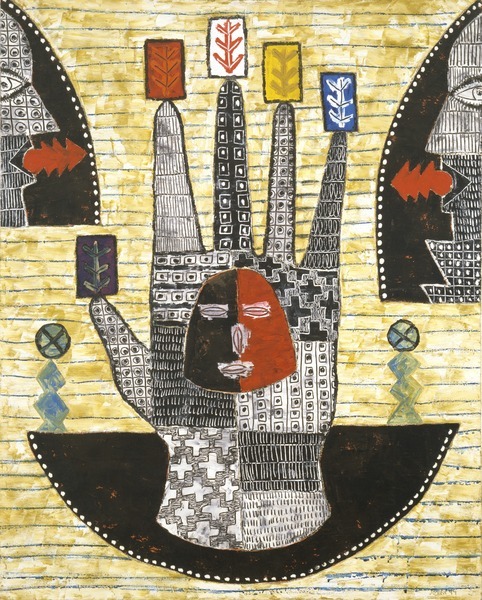 La Mano Poderosa V (The Mighty Hand), 2008. 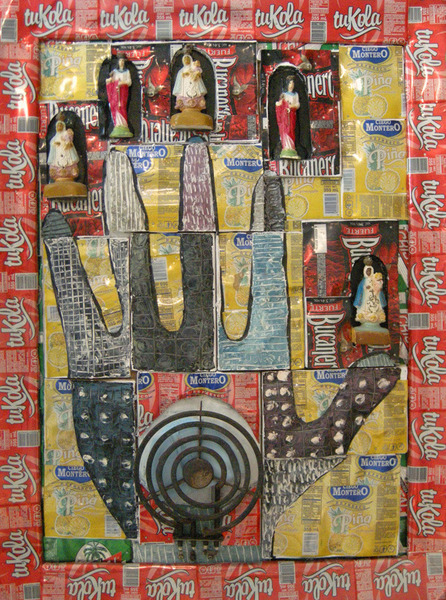 Plaster figures, electric burner and acrylic on flattened aluminum cans, mounted on wood. 31 3/4 x 23 in.